Scribe Publications announced the winner of the 2011 CAL Scribe Fiction Prize last week. No luck for me this year. Maybe in 2012. Congratulations, Lesley, and best of luck with 'Cat & Fiddle' when it's published in early 2012. A JP (Justice of the Peace) in Scotland resigned last week, so that she could take up the fight against knife crime. Seems she's as fed up as the rest of us at the namby-pamby sentences handed down by the courts. Good on her, I say - not before time. I wonder how long it'll be before an Australian in the same position has the courage to take a similar stand. Each cut that's announced by Government may seem like a small cut, but a thousand of them will kill the nation eventually. Recent research by the UK's Labour Party suggests that as many as 10,190 front-line police officers will see their jobs disappear by the end of 2012. This may sound like political scare-mongering by a disaffected opposition, but some forces have already announced plans to massively reduce staffing levels and, taken in the context of the government's public commitment to cut police budgets by up to 20% by 2014, it shouldn't be dismissed out of hand. A reduction of over 10,000 officers will, without doubt, lead to a far less effective police service. The people of the UK can expect call response times to increase, detection rates to fall, and the general disincentive presented to criminals by the presence of police officers on the beat to diminish. Not only will those problems manifest themselves in double quick time, but the UK's national security will be placed at risk - or does the government expect each police authority to maintain the current level of specialist police teams? I think that would be an unrealistic expectation. Policing minister, Nick Herbert, says it's the effectiveness of individual officers that matters, more than simple numbers. And I say: there speaks a man who has never policed a picket line, or a student demo, or a city's streets at pub closing time. By his argument, it matters not how many politicians the UK squanders its hard-earned money upon. What matters is the effectiveness of each politician. Let me repeat that: It is not the number of MPs that matters, it's what they can achieve with less resources, and for less reward, that counts. Not surprisingly, there hasn't been one word spoken by Mr Herbert's cronies in government about reducing the burden placed upon the UK taxpayer by that tarted up doss-house we call 'Westminster'. But here's the rub: I (and I'd bet I'm not alone) would rather see an immediate reduction in the number of MPs - let's start at, say, 50% - than see the number of UK police officers reduced by even one. I'd rather see each MP take on double the work, than see even one library close its doors to the reading public. The money saved could be spent on maintaining the level of service our cops can provide for us, and keeping our libraries staffed and stocked, and on keeping a five-day school week in North Ayrshire, and in every other council area that's been forced through under-funding to contemplate that unthinkable option of reducing the school week to only four days. Let's not allow our children - the lifeblood of our great nation - to suffer a lack of education. Let's cut the money that funds Westminster instead, and see how many fat rats jump from the ship. Maine-based writer Karen Bessey Pease has posted a review of my crime thriller Brogan's Crossing on her blog. I'm tickled pink that Karen, a respected American writer, holds my novel in such high regard. It's the stuff that keeps us writers writing. I mentioned in a blog post a few weeks ago that Brogan's Crossing is on the longlist for this year's CAL Scribe fiction prize. I can't over-emphasise how happy I am to be in the running. It means that my work is being read by three of Australia's most highly-regarded industry professionals: Aviva Tuffield, Fiction Acquisitions Editor at Scribe Publications; Blanche Clark, Books Editor at the Herald Sun newspaper; and Mark Rubbo, CEO of Readings bookstores in Melbourne. I'll keep you posted on whose work goes through to the shortlist as soon as I find out. My name is Kazza and today, I am posting on Jack Ramsay’s blog. 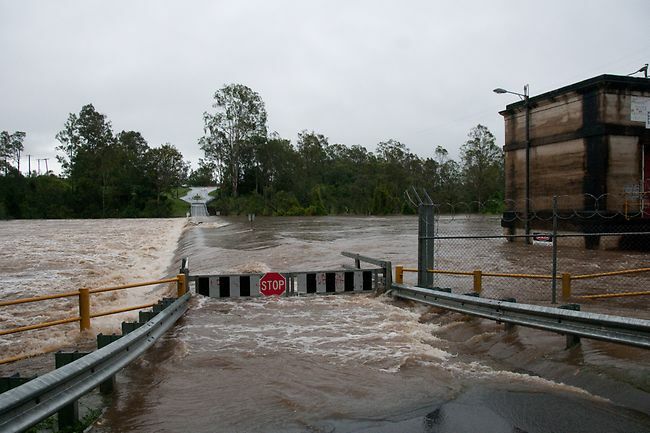 Jack and his family are at the epicenter of the devastating floods in Queensland. What follows is a posting I made to my own blog a couple of days ago. Jack and Ali--and those many others who have been or are in harm’s way--are in my heart and on my mind. I have many dear friends in Australia. Pete and Naomi, Ali g and KK, and Dozy in New South Wales. Jack and Ali and Larry in Queensland. Of these, Larry is the only Aussie friend I have actually laid eyes on—the only one I have hugged and kissed, poked and prodded, eaten and drank with. Napped nearby, cut grass with (well, I cut--and he directed the operation) gotten lost on a dirt road with. Larry bought me lunch, I bought him supper. Larry cooked for me, I washed dishes for him. I built a big bonfire and went swimming in the moonlight, while he crabbed at me for doing something so foolish. Larry brought me jewelry from Laos and gave me his Drizabone coat. I handled his car rental, gave him a place to stay for a month, and put two bullets through his cell phone for him. But even though I have never held the hands of my other Aussie friends, or leaned against them while laughing, or shared a timid bite of Vegemite, that does not mean that I love them any less. I have been incredibly blessed. These far-away friends have enriched my life more than I ever thought possible. That’s why I am worried, tonight. Australia, and especially Queensland, is experiencing a terrible tragedy. Flooding there is the worst on record. This land which was recently experiencing a terrible drought is now inundated with water. The rain won’t stop. The ground is saturated. 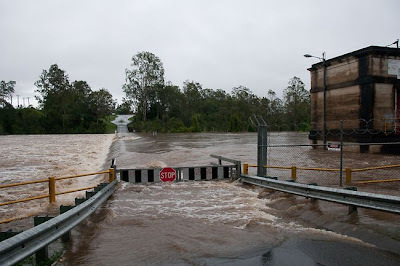 The rivers are over-flowing and the dams are taxed. I am watching and listening. This girl who shuns the television can’t seem to keep away from it. I am very, very worried. And I’m ten thousand miles away. I can’t hug, or hold, or poke or prod. I can’t give them a place to stay, if they need one, or rent them a car to get to high ground. I can’t share Vegemite with them or build them a fire to help them dry out and get warm. I’m helpless. And I don’t like the feeling, at all. My heart goes out to all those thousands of Aussies who are affected by this terrible event. 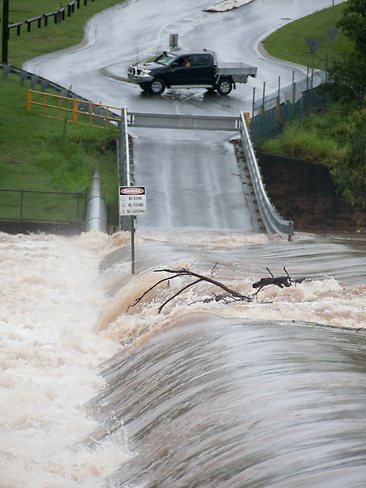 And my thoughts are prayers are with my wonderful friends who at the epicenter of the Australian flood. God Bless you. And please… be safe. Please. It's at times like this I'm glad I have friends. I wanted to blog about writing today, but the weather's had its say and I have more pressing (and far less pleasant) tasks to see to. Instead, I thought I'd link back to a review of an excellent novel written by a good friend of mine, Corinne Van Houten. Though Corinne lives on the west coast of America and I'm here in soggy Queensland (the "sunshine state"... pah!) in Australia, we met on that oft-decried website for writers, authonomy, and we've found many things we share in common - not least of which is a desire and willingness to improve our writing.